Beat This Caption Contest 173 – Caption Contest Funny Clever Witty Enter Today! 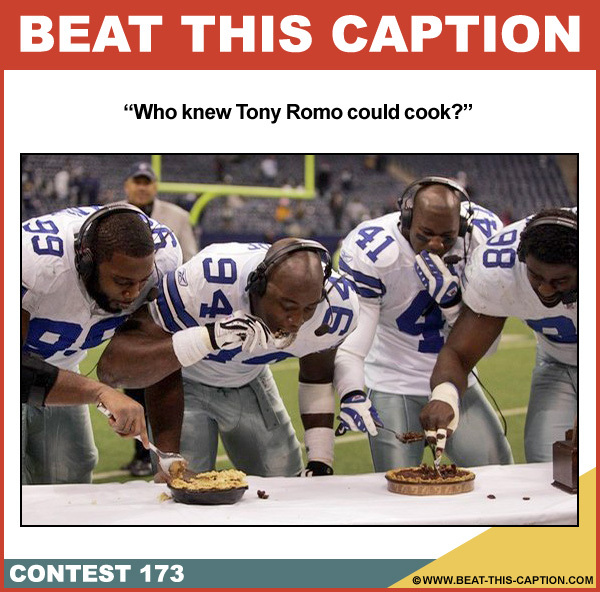 Who knew Tony Romo could cook? November 24th – November 30th 2013.